As the times comes to wave goodbye to 2015, we’ve been reviewing ICND’s progress, and wow – what a year! If you know the vacation rental industry, you know the VRMA (Vacation Rental Marketing Association). That’s why we were so excited about the talks we gave this year at both the VRMA Annual and VRMA East conferences. At each of these events, ICND President Brandon Sauls and Director of Digital Marketing Conrad O’Connell gave a presentation titled “Think Like The Big Dogs”. The talk included some great tips and tricks about high-impact conversion rate optimization for vacation rental marketers, and according to the overflow of traffic we’ve had to our VRMA presentation download page, it was a home run for ICND! Internally, ICND’s main focus this year has been on optimizing efficiency. We’ve scrutinized each and every step of our website design & marketing pipeline to create the business environment most conducive to success (for us and our clients). This means that moving forward, our tools will be even more reliable, faster, and will have awesome new features. Streamlining our process will also lead to faster website launch times (a win-win for everyone). Well, the big deal is that we’re now going to be able to produce more industry-leading websites than ever before! Also, now that we’ve gained popularity within the vacation rental marketing industry, we’ll be providing our services to an even wider audience. To put it simply – the successes we had this year at ICND have put things in place that will lead to significant exponential growth in the next few years. While we’re on the subject of building websites, let’s talk about the dozens of vacation rental websites we’ve launched this year. Starting early in the year with Vantage Ocean City, we’ve seen stellar results from our website redesigns. Some of our most popular designs set the industry abuzz, including award-winning design with the launch of Taylor Made Deep Creek’s brand new vacation rental and real estate website design. These high-converting sites, built on our brand new booking engine, have led to industry praise from all over. We’re proud of what we’ve built in 2015 and look forward to continuing that in 2016. Well, now we do what we do best – vacation rental marketing! We’re going to make sure we’re staying ahead of emerging trends within the industry and optimizing our efforts to reflect those changes. Finally, we all know that a company is only as good as its employees. That’s why we’ve spent the year building our ICND team. Specifically, we’ve grown our marketing team with some very talented Digital Marketing Managers. Additionally, we’ve expanded our programming and front-end design team to include enough muscle to build even more products, tools and website designs. Overall, this has been the biggest year we’ve ever had here at ICND. As you’ve seen, all the successes we’ve had this year will only compound and serve to grow ICND exponentially. We are truly just getting started, and 2016 is already looking like a year for the record books. To leave you with a preview of the awesome things to come – we’re planning on implementing even more industry-first website features, a new ICND website design is in the works, and even more investments have been made to make our marketing team the absolute best in the business. But all the success in the world means nothing without friends and clients to share it with. So remember to keep that in mind as you contemplate your own accomplishments from 2015 and plan for the year ahead. 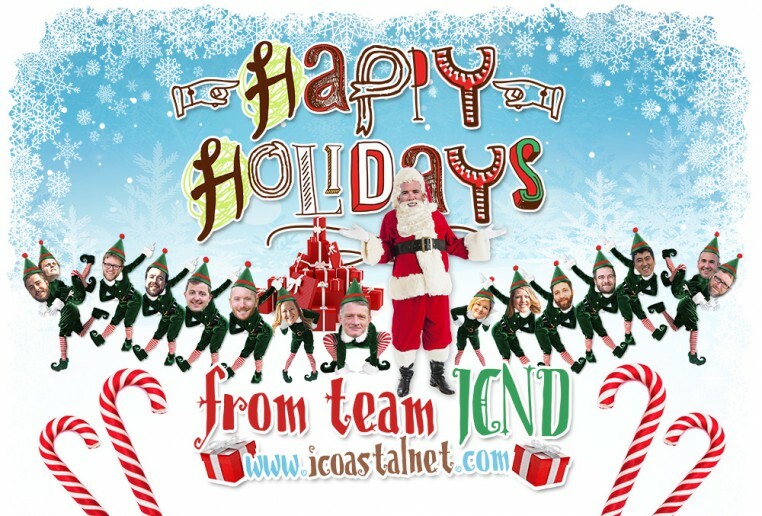 On behalf of everyone here at ICND, Happy Holidays and best of luck with your 2016 goals!